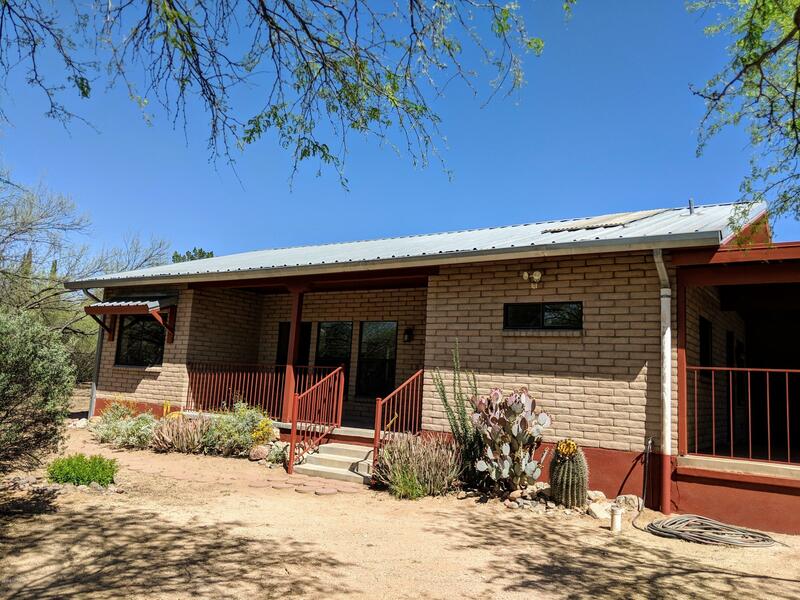 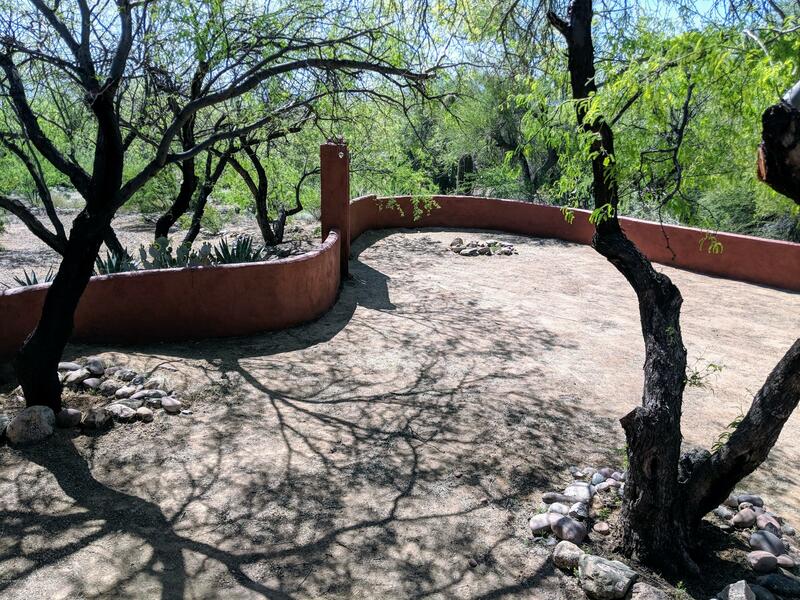 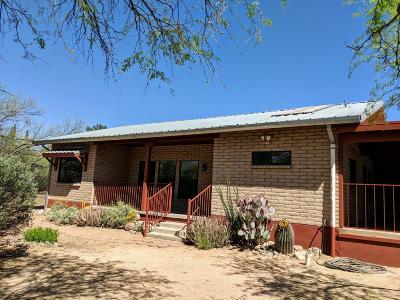 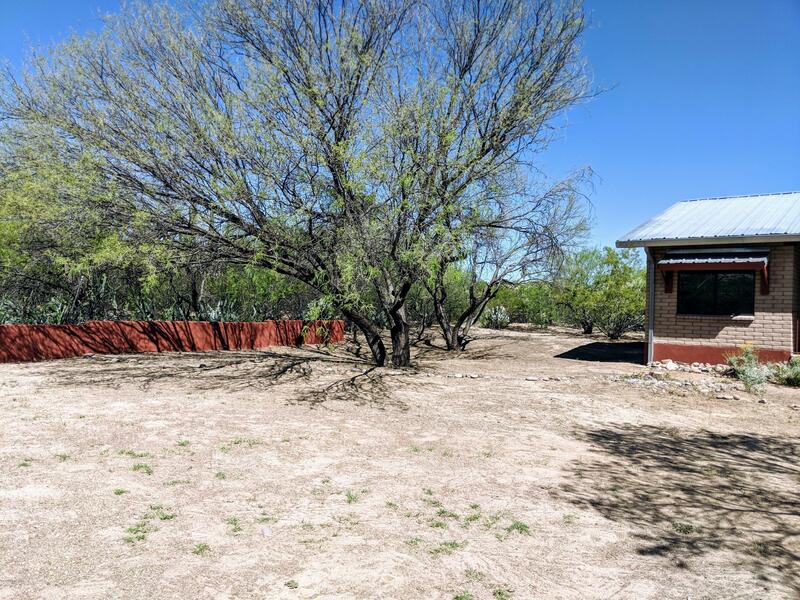 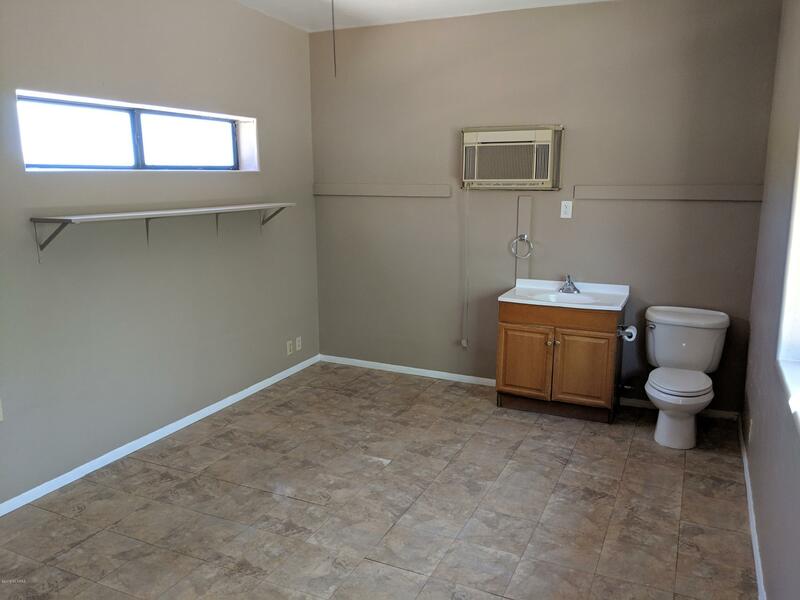 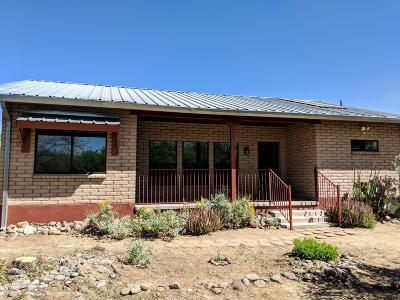 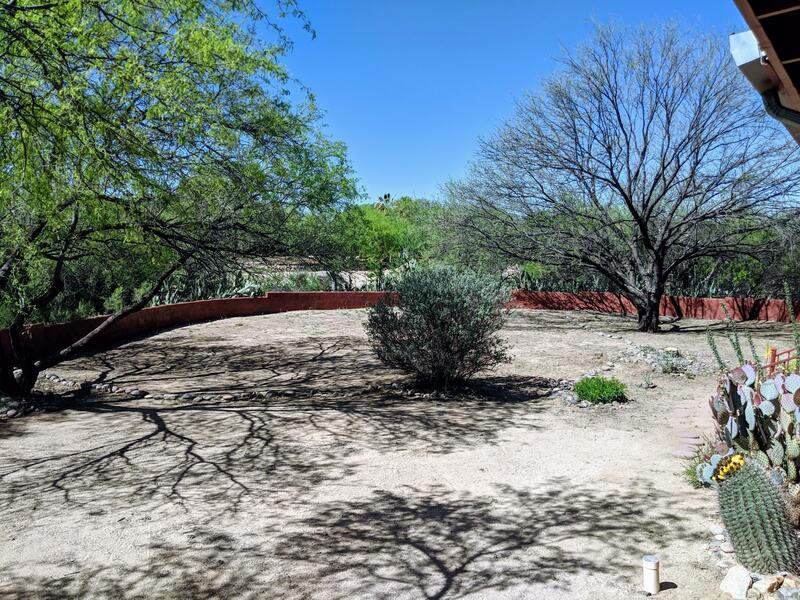 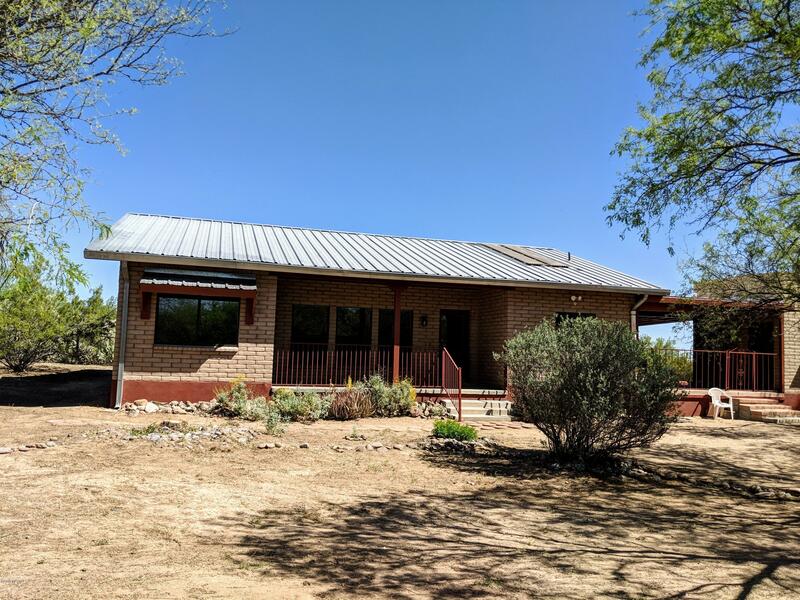 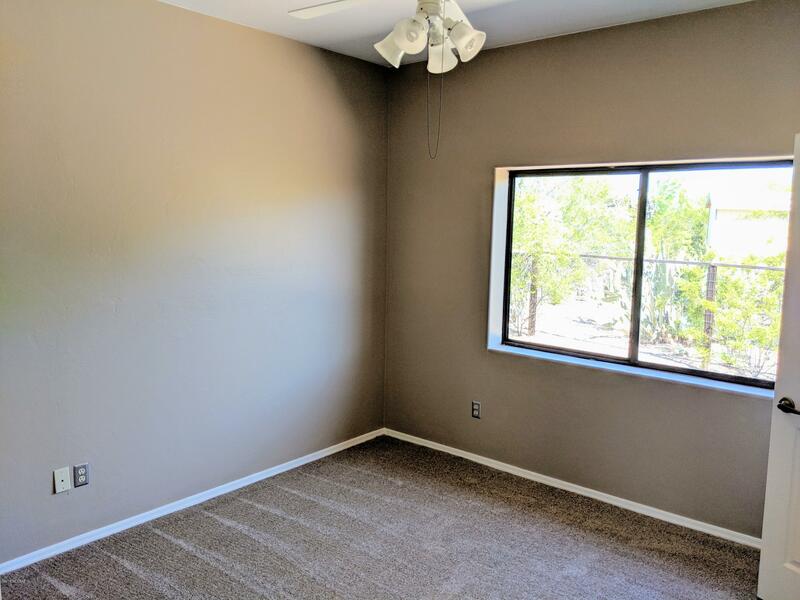 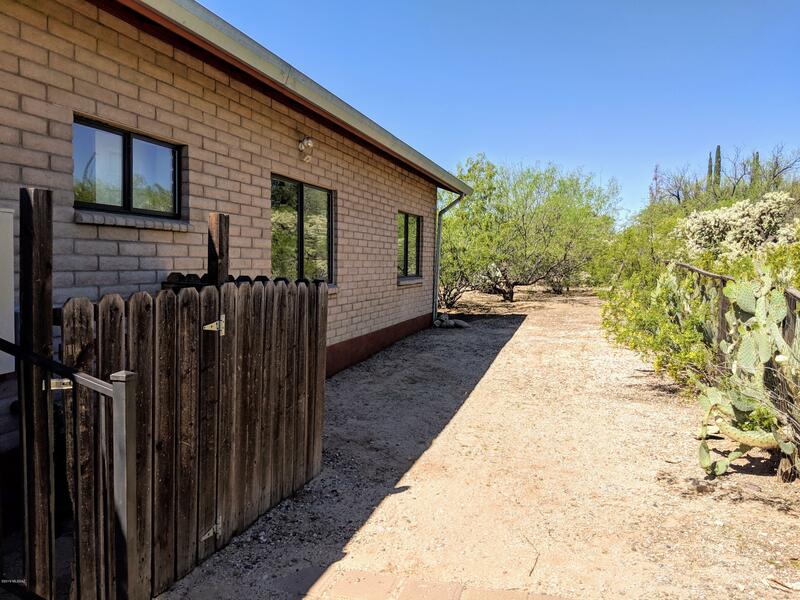 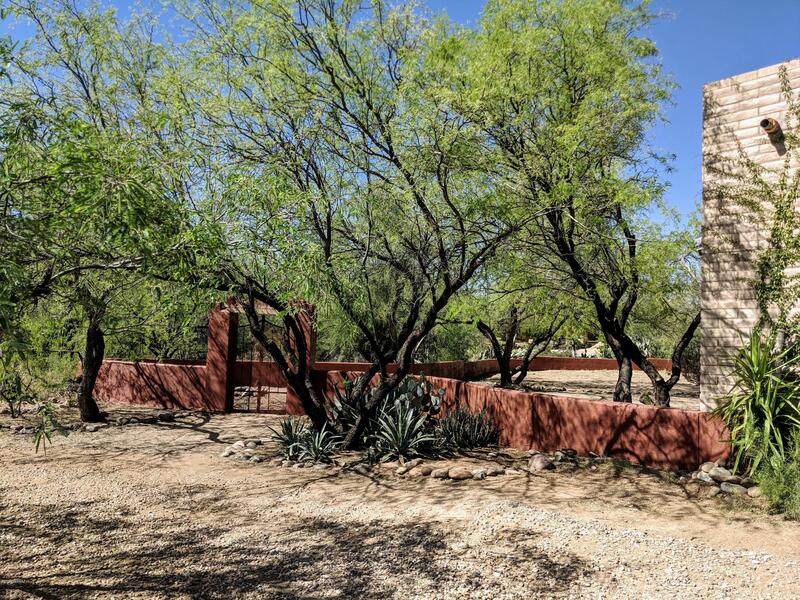 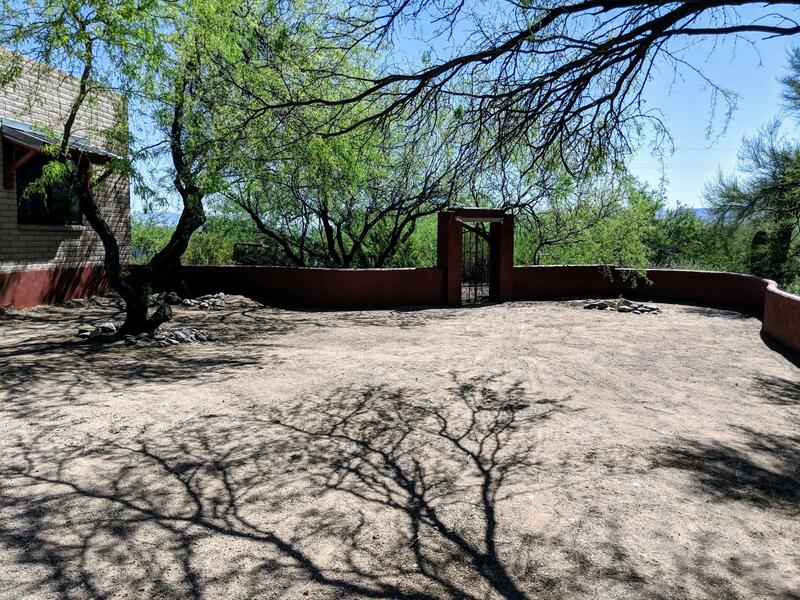 Great 2 bedroom plus a den/office 1417 sq ft main house and a 220 sq ft studio casita, that's perfect for guests, or a great in-law suite. Territorial design with energy efficient slump block construction and dual pane windows. 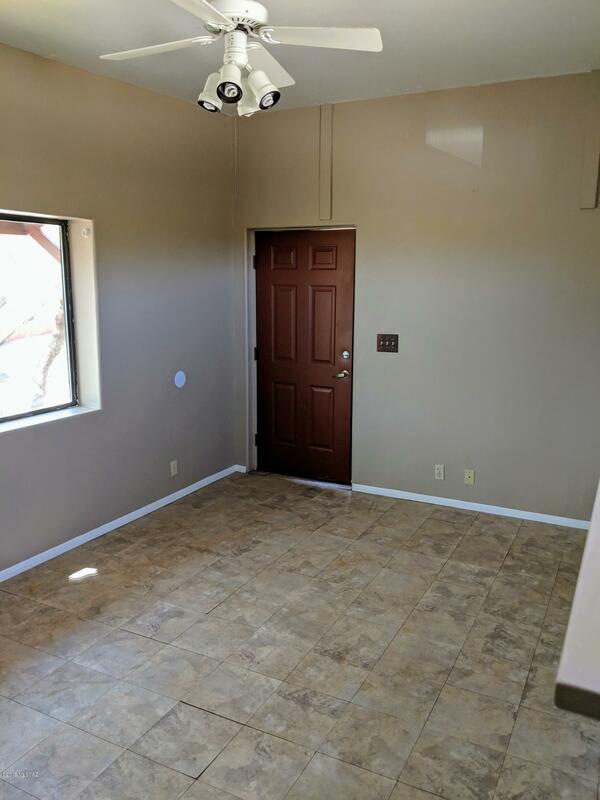 Light, bright and open, featuring a great room concept. 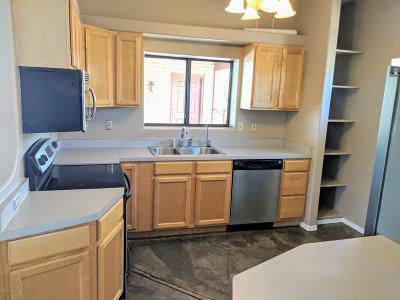 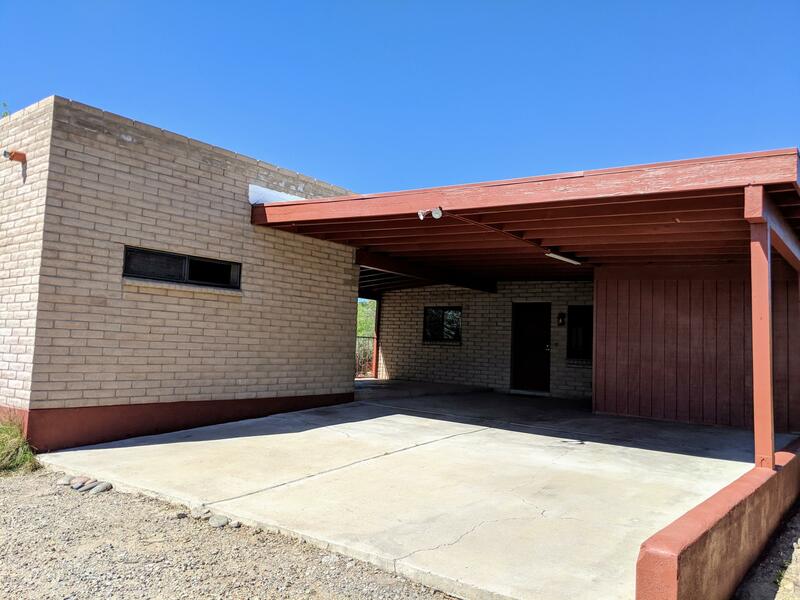 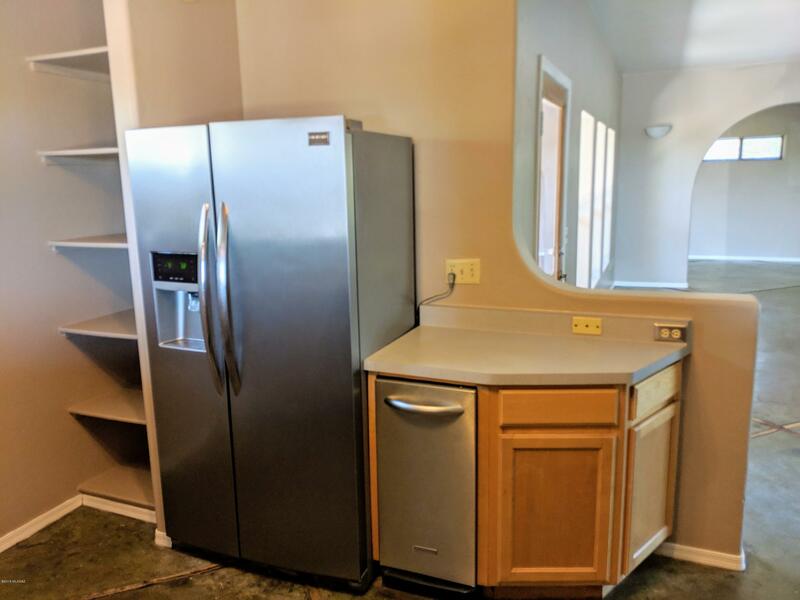 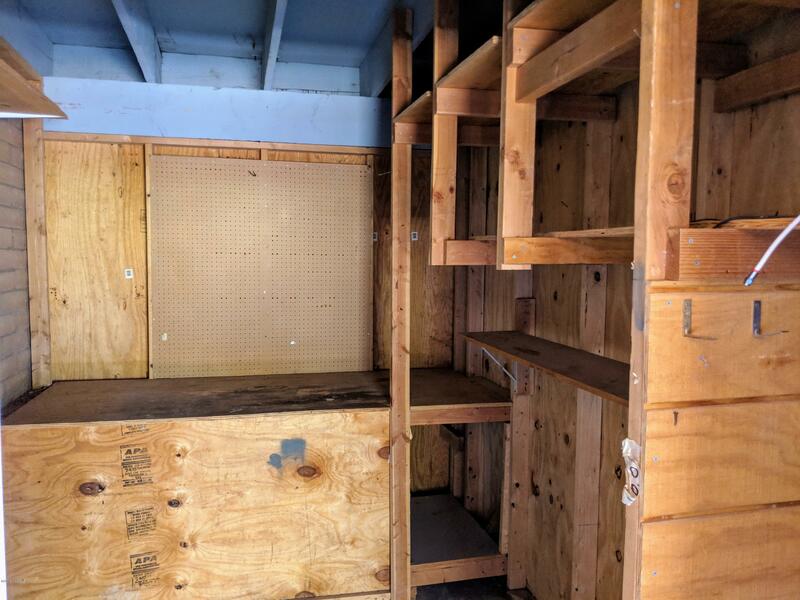 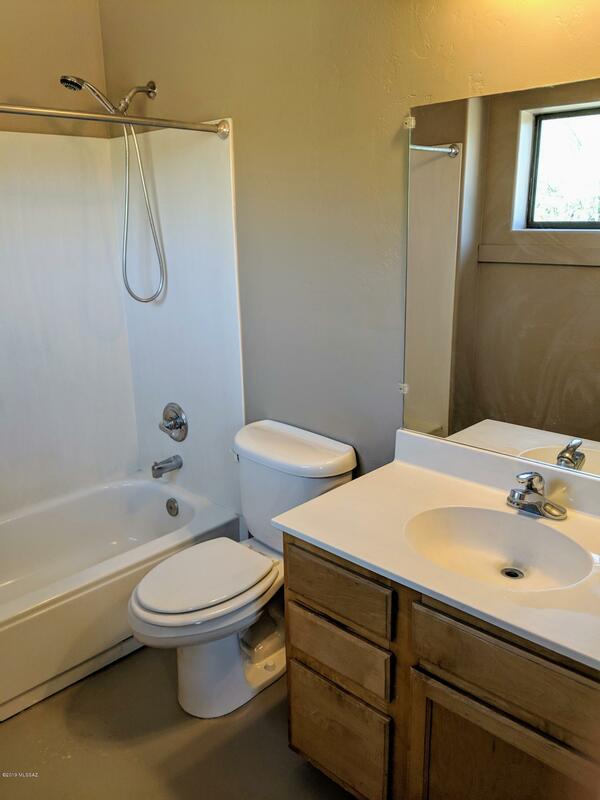 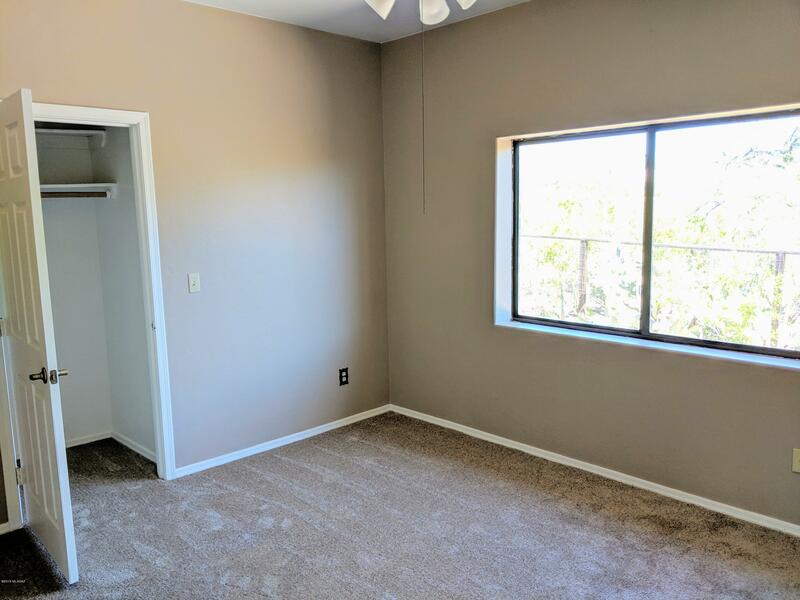 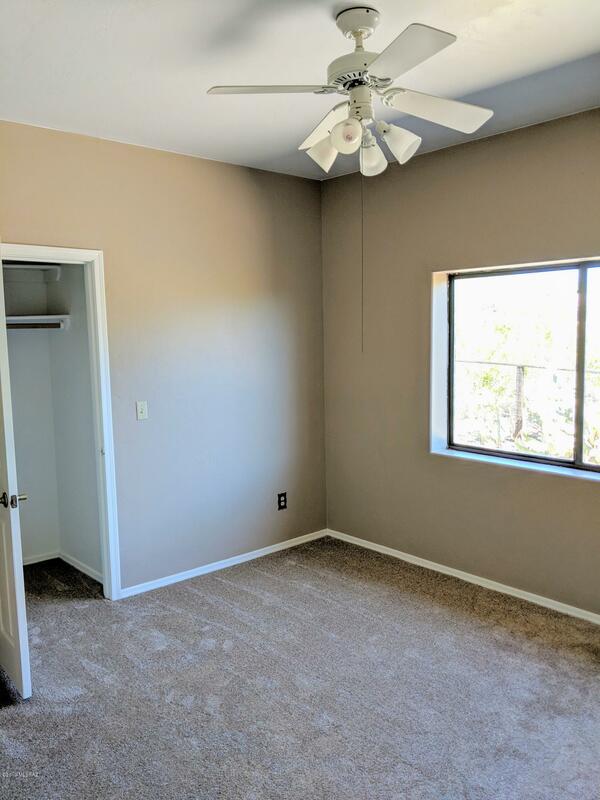 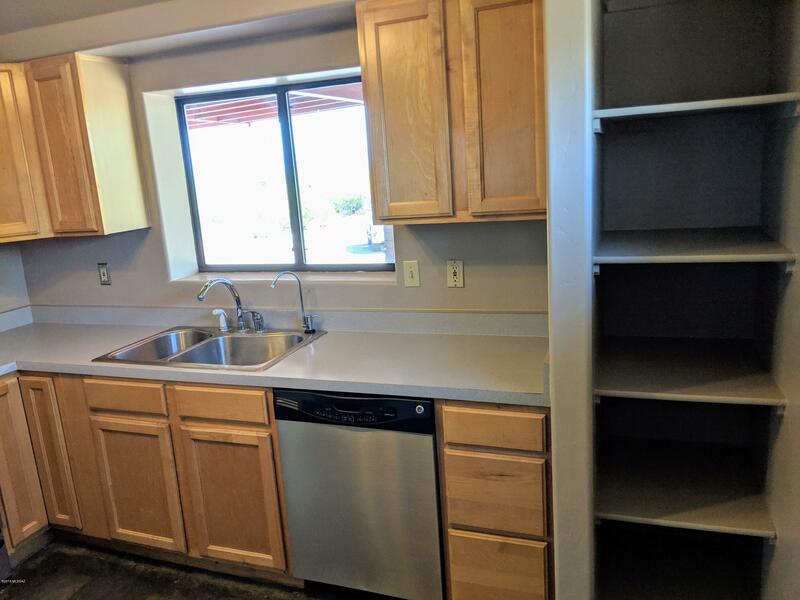 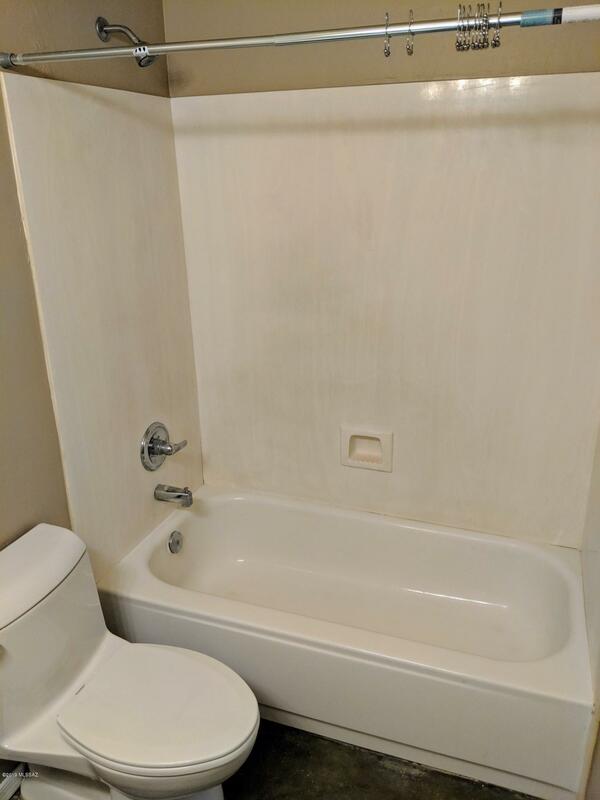 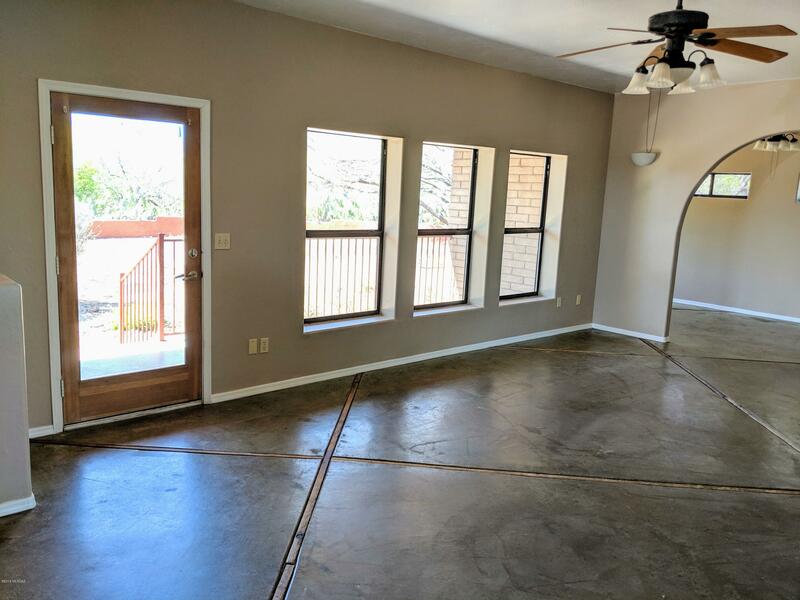 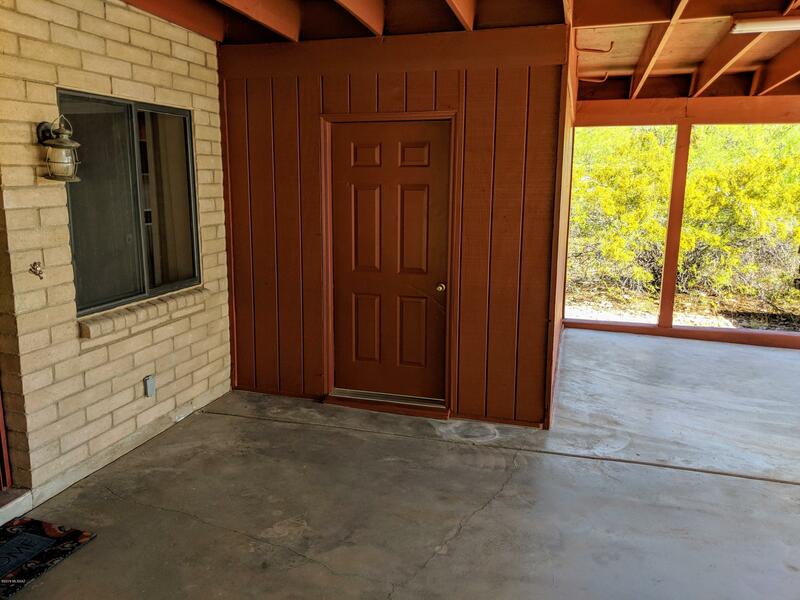 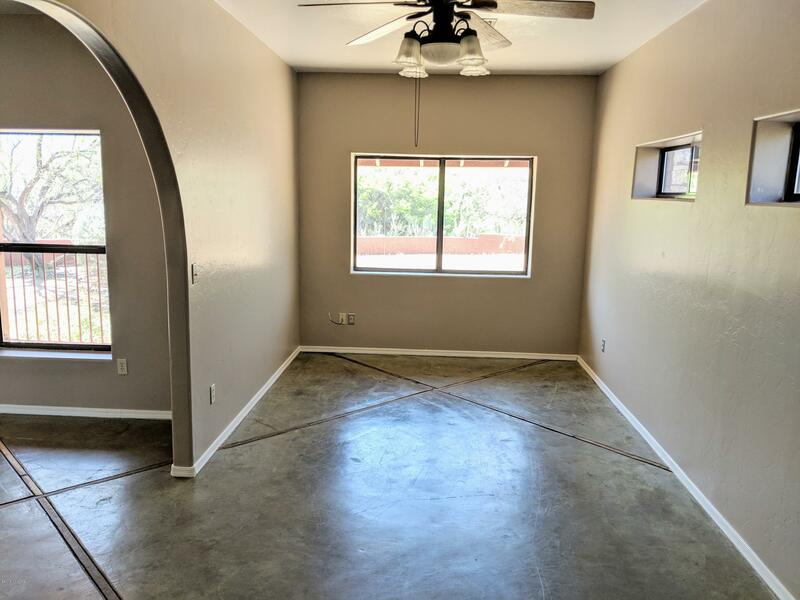 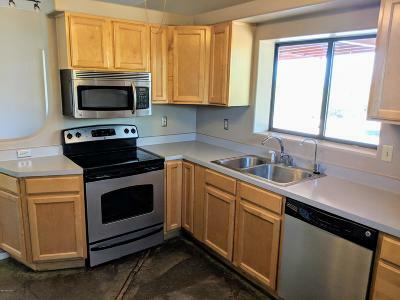 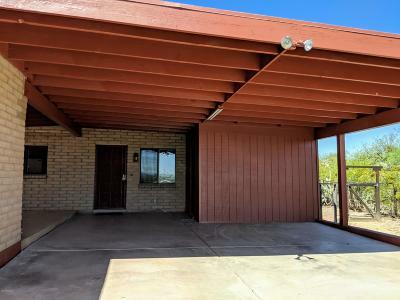 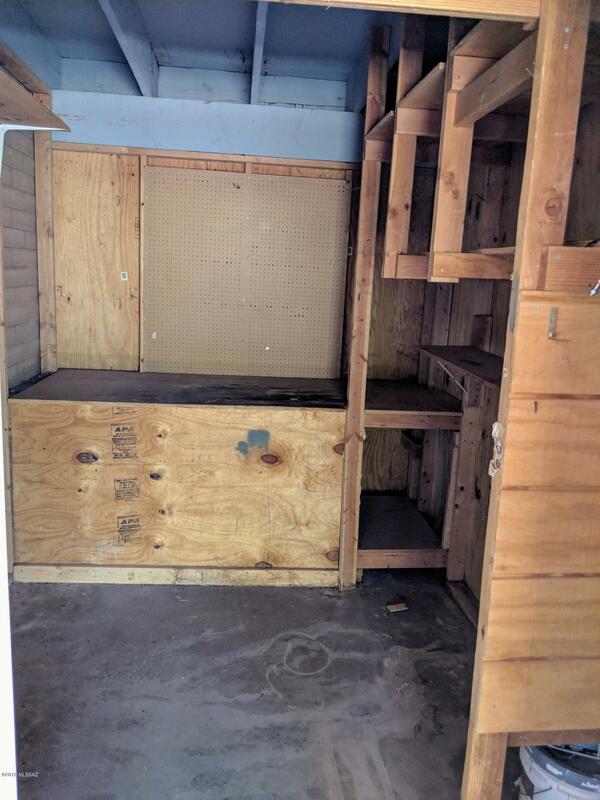 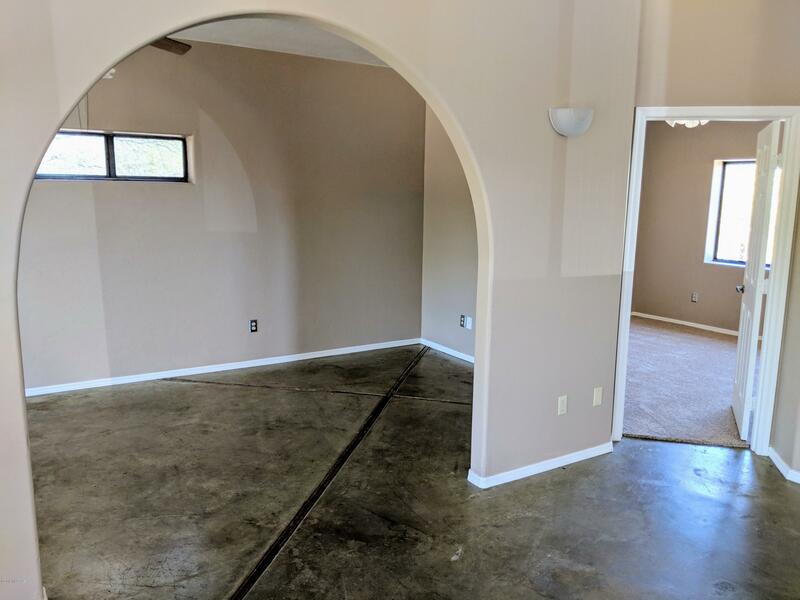 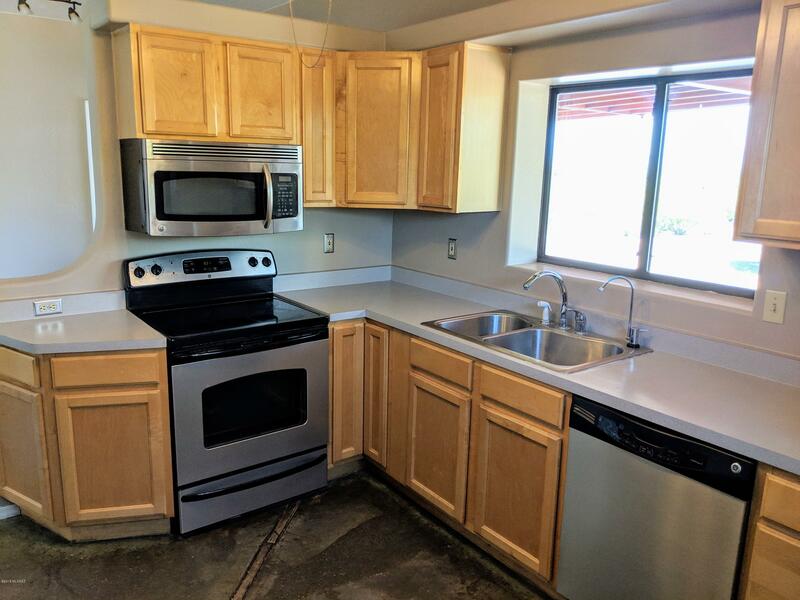 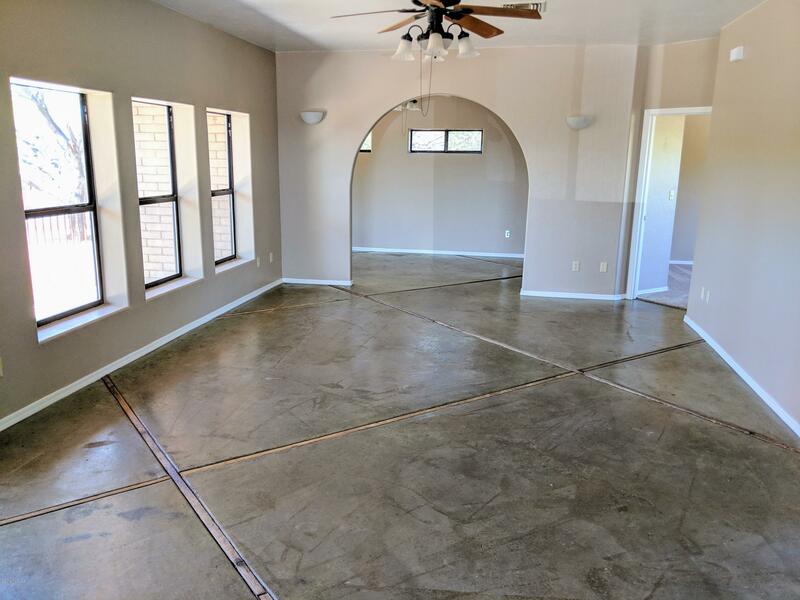 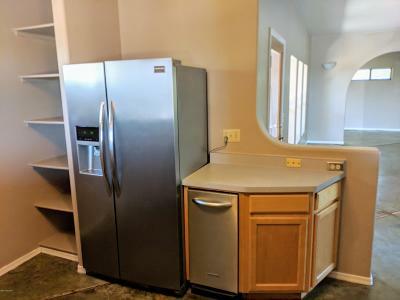 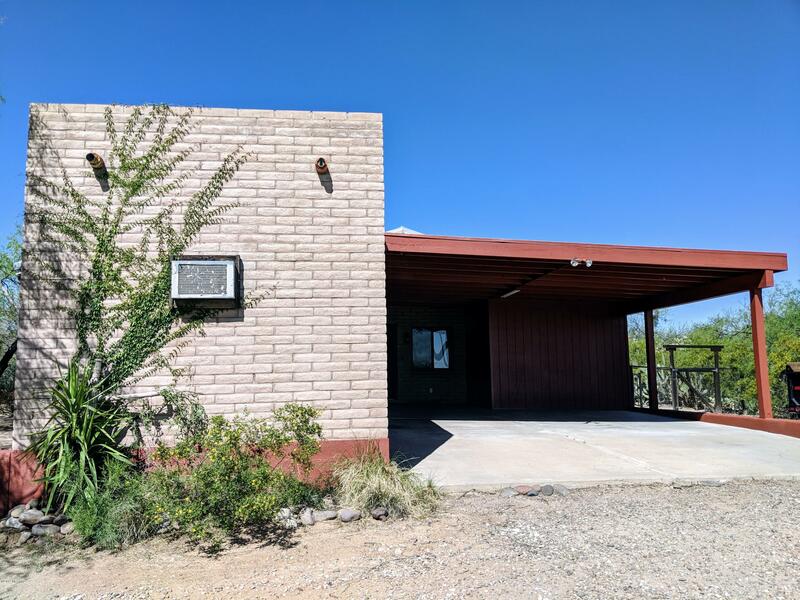 Features include new carpet and new paint inside and out, high ceilings, easy care polished concrete floors, 6 ceiling fans, updated fixtures, and stainless steel kitchen appliances. 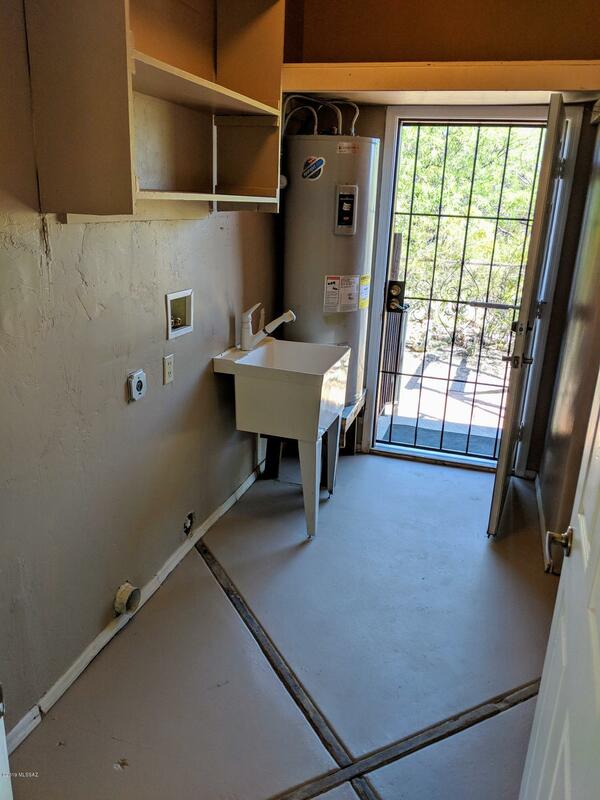 There's also a large storage room off from the laundry room. Outside has a steel roof, fenced in front courtyard and mature landscaping. 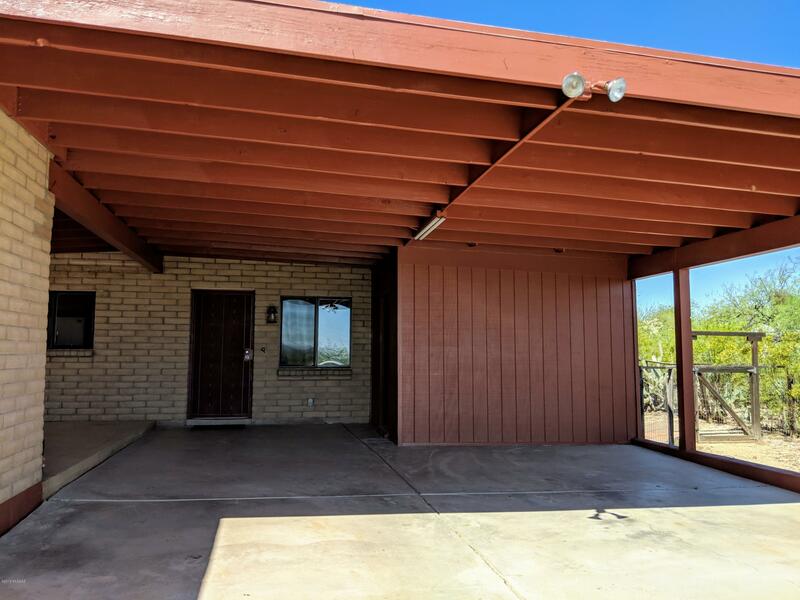 NO HOA, NOT Age-Restricted, and NO GVR! 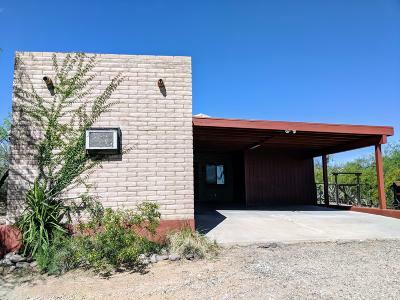 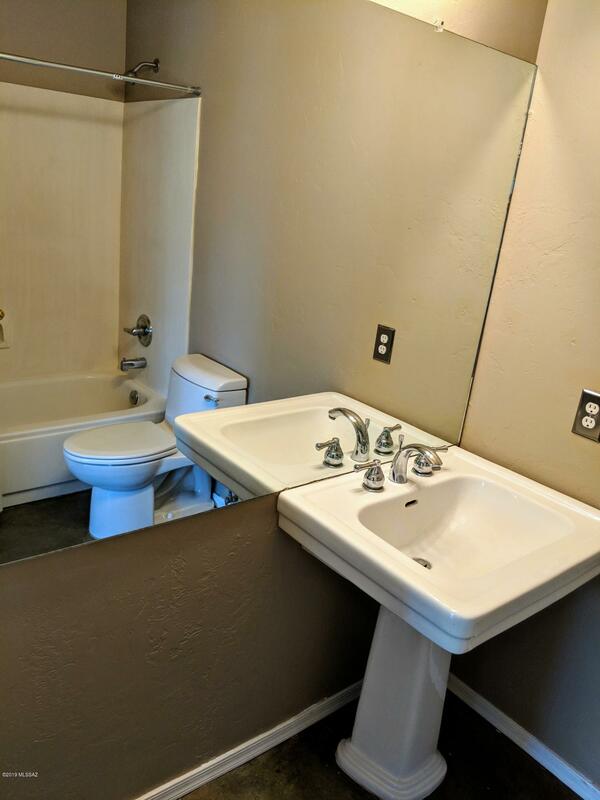 Mountain views, privacy, and RV parking space too. 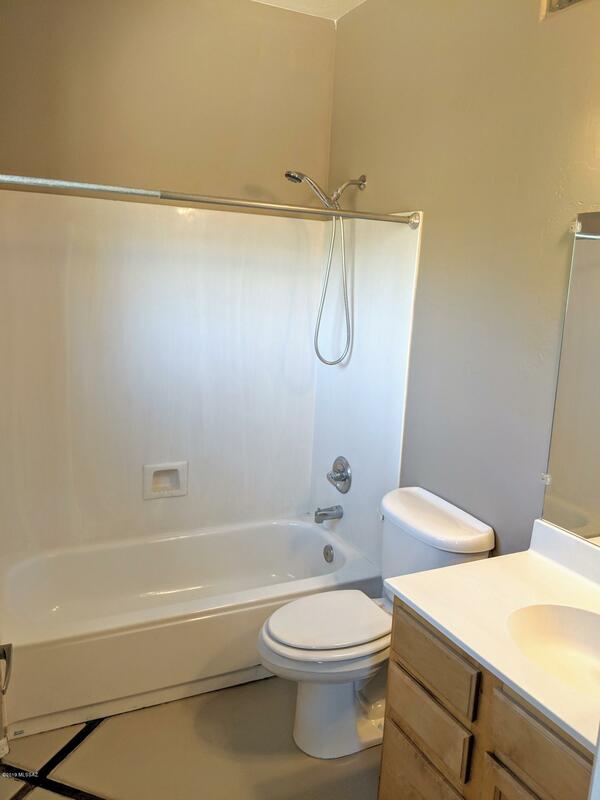 In a great location close to shopping, restaurants, and easy freeway access.